Air Education and Training Command experts discuss a wide variety of topics that directly impact total force Airmen, including force development, continuum of learning, innovation and more! Description: Experts from across the Air Force's recruiting, training and education enterprise discuss a wide variety of topics that directly impact total force Airmen, including force development, the continuum of learning, innovation and more! In this episode, a team of experts from the Squadron Officer School at Air University talk about how they are flipping the classroom, adopting immersive training (including VR, AR, mixed reality) into the learning experience space, helping to better professionally develop our Air Force captains. Ms. Toni Scribner, as well as Captains Anita Sims and Casey Neville drop by, talking about the successes and challenges of adopting some of this immersive technology, as well as the thought process that goes into the process of both the adoption & integration of the new approach. The team also talks about the need to think about these changes in terms of the culture, scalability in design, as well the flipping the classroom trend happening in education right now. In this episode, Lt. Col. Paul Vicars, the director of Pilot Training Next, sits down to discuss the second iteration of AETC’s innovative and experimental approach to learning, based at the Armed Forces Reserve Center near the Austin-Bergstrom (Texas) International Airport. Vicars goes in-depth on the focus areas for PTN 2.0, including innovation in terms of technology and the art of failing forward; scalability in terms of how to create a learning model that can be replicated across the flying training enterprise, and the use of big-data to drive decision making in line with the AETC strategic plan. Additionally, the PTN director talks about talent selection for the program, including the additions of both sister service and international partners to the second class. 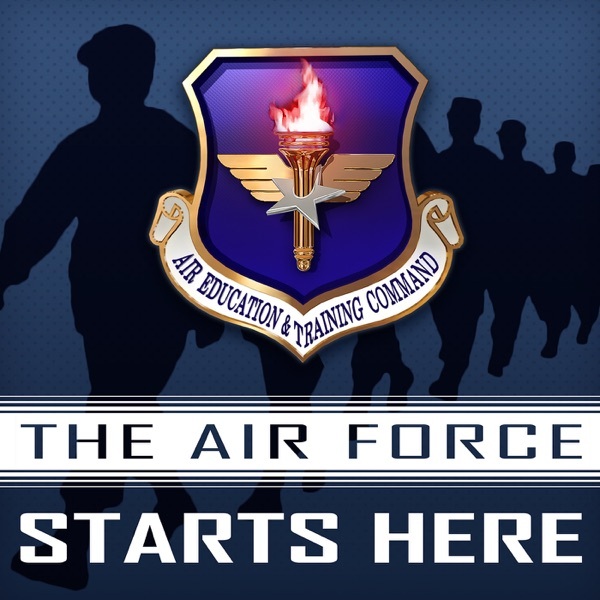 In the episode, a team from the Headquarters Air Education and Training Command A9Z division, which focuses on Engagements and Assessments, talk all things related to innovation and the future shaping of the learning environment. Danielle Koehler, Tech. Sgt. Michael Maturan, and Staff Sgt. Aaron Parker discuss the engagements and assessments division and what they do, what the pursuit of innovation has looked like from the perspective of a technical training wing instructor and how an Airmen can have their voice heard, as well as what the future of learning looks like as we ensure Airmen get training and education that is learner-centric, controlled by Airmen and presented in the context of a mission. AETC’s command historian, Mr. Gary Boyd, as well as Bill Manchester, AETC staff historian and director of museums at JBSA-Lackland sit down to talk about the Airmen Heritage Training Complex, a project aimed at creating a new state-of-the art Air Force heritage teaching facility to highlight and learn from the sacrifices and achievements of our enlisted force to better acculturate Airmen attending basic and initial skills training. An in-depth discussion with the Air Force Basic Military Training superintendent, Chief Master Sgt. Lee Hoover and a military training instructor, Tech. Sgt. Erik Garza, about the changes to the Air Force Basic Military Training curriculum designed to increase lethality and readiness in graduates.